Nothing brightens up a bedroom like a beautiful, healthy indoor plant. There’s something about having a physical, living organism in your bedroom that will brighten up even the worst of moods. Here at Koala, we’re kind of obsessed with greenery in the bedroom (and in the office!). Most of our staff have loads of plants in their bedrooms, but there not everyone has a green thumb. In fact, a few of us that have even managed to kill cacti… YEP, that’s no word of a lie. If you’ve got pets at home, perhaps look beyond Devil’s Ivy as it is toxic. 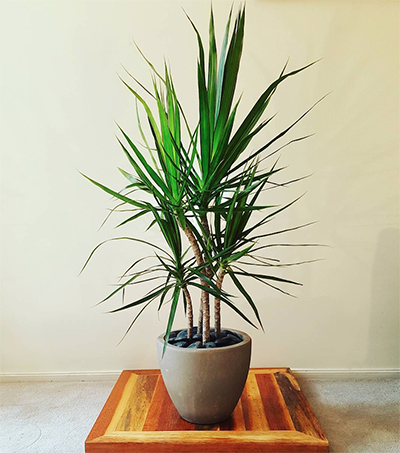 However, if you have no pets then we highly recommend this gorgeous plant. Even if you’ve never successfully looked after a plant, you’ll be pleasantly surprised by how easy it is to care for Devil’s Ivy. Not only does the luscious leafy vine require minimal water, but it’s known for being one of the best plants for purifying indoor air. Care: Water once every 5 days in summer and 10 days in winter, place near a window but not in direct sunlight. If you’re after a real show stopper, look no further than the Madagascar Dragon Tree. Known for its structural shape and ability to add impact to any room, it’s our pick of the bunch for a if you’re looking for aesthetic beauty. This spectacular plant will keep growing steadily, so make sure you give it a prune regularly unless you are looking to really make a statement! Care: Water when soil is nearly dry again (only in small amounts), place in light shade. 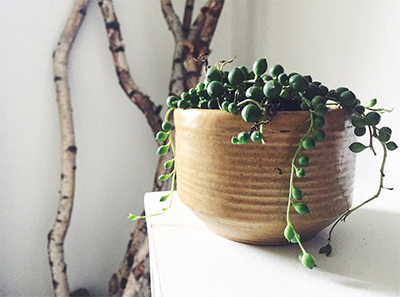 With long, dainty tendrils of foliage covered in small green beads, this unique succulent will add an element of quirkiness wherever it’s placed. 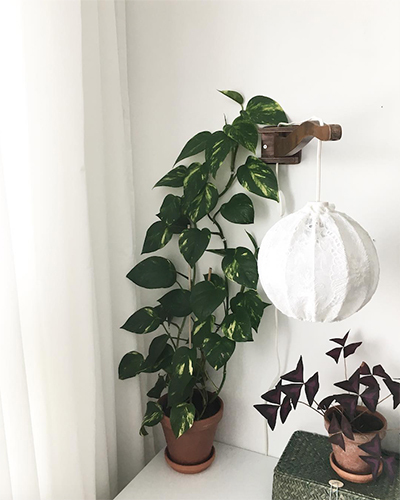 Make sure you position this gorgeous plant with enough room for it to hang down and drape itself over your furniture. It’s a great talking point and will attract compliments from everyone who sees it. Just make sure you situate it away from open windows and air conditioning vents as this can cause leaf drop. Care: Water once every two weeks, can be placed in direct sunlight. Easily the most recognisable of the indoor plants (and most popular), the classic Fiddleleaf Fig has taken the interior design world by storm recently and it’s not hard to see why. The timeless shape and easy care makes the Fiddleleaf Fig most designers’ go-to plant. Known for glossy, leathery leaves, the plant demands attention and lights up any room. 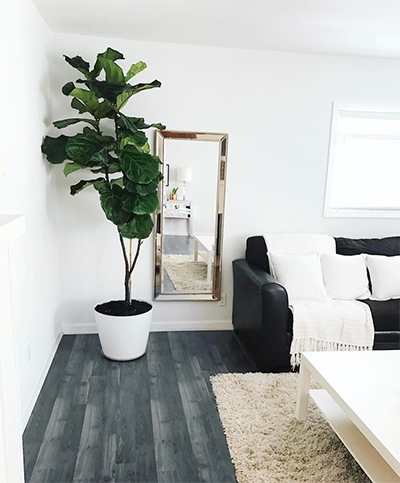 Next time you’re considering filling in space with art, why not replace it with the stylish Fiddleleaf Fig instead? Care: Water once the top inch of soil is dry, place in a light area but not in direct sunlight.